3DS is reinvigorated, thanks to product improvements and rising CNP fraud. 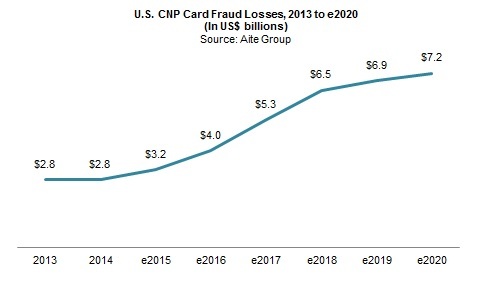 Boston, February 4, 2016 – Card-not-present fraud is on the rise globally, thanks to the past few years’ data breaches and the U.S. migration to chip cards. 3-D Secure is designed to add an additional layer of authentication to e-commerce transactions, but many merchants viewed its initially clunky user experience as a sales-prevention tool rather than a fraud-prevention solution. The payment networks and enabling vendors have made substantial changes to the process over the past few years, and merchant awareness of the enhancements is driving increased usage—​just in time, as criminals increase their CNP fraud attempts. This Impact Note examines 3DS’ current and future state across the globe. It is based on Q4 2015 Aite Group interviews of 31 executives from global merchants, issuers, payment networks, processors, and 3DS vendors. This 22-page Impact Note contains four figures and six tables. Clients of Aite Group’s Retail Banking & Payments service can download this report.